Team South Korea 2018 has been named following the Korea National Championships, which took place this weekend in Seoul. Jayar Walker and Vicki Luy are in San Jose covering the 2018 U.S. Championships. This dynamic duo will be bringing us daily updates and photos from the junior and senior events. The 2018 U.S. Championships take place Dec. 29, 2017 through Jan. 7, 2018 at the SAP Centre, in San Jose, California. The 2018 Japanese Championships take place in Tokyo, Dec. 21-24. Germany’s Aljona Savchenko and Brunot Massot brought the audience to its feet with their superb long program at the 2017 Grand Prix Final in Nagoya, Japan. The 2018 Russian national championships take place in St. Petersburg, Dec. 21-24. The 2017 French Championships take place Dec. 14-16 in Nantes. Aljona Savchenko and Bruno Massot rank first in the pairs discipline. Nathan Chen and Kaetlyn Osmond are number one in singles and Tessa Virtue and Scott Moir top the ice dance standings. Croatia hosts 2017 Golden Spin of Zagreb, the final Challenger Series competition, Dec. 6-9. The 2017-18 Grand Prix Final will take place in Nagoya, Japan, December 7-10. After a lengthy absence from the scene due to injury, Satoko Miyahara came roaring back to win Skate America in late November. 2017 Shanghai Trophy takes place Nov. 24-26. Top names include Wenjing Sui and Cong Han and Ekaterina Bobrova and Dmitri Solovyev. The 2017 Tallinn Trophy takes place Nov. 20-26 in Tallinn, Estonia. Senior short programs on Thursday, Nov. 23. Javier Fernández laid down an inspired performance in the short program and ran away with the lead at Internationaux de France. The 2017-18 Senior Grand Prix Final opens with the pairs, men’s and short dance events on Thursday, Dec. 7. The 2017-18 Junior Grand Prix Final opens with the pairs, men’s and ladies events on Thu., Dec. 7. Tessa Virtue and Scott Moir captured their seventh Skate Canada ice dance title in Regina. Warsaw Cup, the eighth event of the 2017 Challenger Series, takes place Nov. 17-19. The 2017 seven-event Junior Grand Prix Series kicks off in Brisbane, Australia on August 23. We expect some exciting showdowns to take place at each of the six events in the Series. Espoo will host the 2017 Challenger event October 6-8. Gdansk, Poland hosts the penultimate event of the 2017 Junior Grand Prix Series. Skate America, the final event of the 2017 Grand Prix Series, takes place in Lake Placid. The 2017 Grand Prix Series kicks off with Rostelecom Cup in Moscow, Russia on October 20. Osaka, Japan hosts 2017 NHK Trophy, the fourth event of the Series, Nov. 10-12. The second last event of the 2017 Grand Prix Series plays out in Grenoble, France, November 17-19. The fifth of the seven-event Junior Grand Prix Series plays out in Zagreb, Croatia,September 27-30. Pairs is included in this competition. Nebelhorn Trophy is the final opportunity for nations to qualify berths at the 2018 Olympic Winter Games. The competition takes place Sep. 28-30. Fun moments off the ice at the 2017 U.S. International Classic in Salt Lake City. 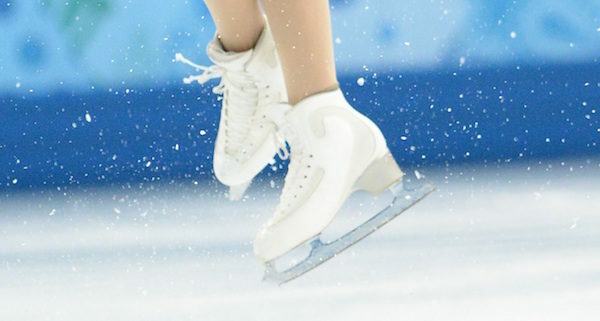 Russia is hosting its annual test skates this weekend and China its National Grand Prix. This competition celebrates its 25th year in 2017. The competition starts Thursday, Sept. 21 with ladies, men’s and pairs short programs. The 2017 U.S. International Classic takes place September 13-16 in Salt Lake City, Utah. 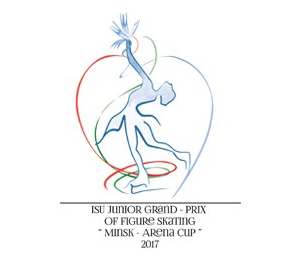 The 2017 Lombardia Trophy – Bergamo, Italy, September 13-17. The first event of the 2017 Junior Grand Prix Series will play out in Brisbane, Australia, August 24-27. The second event of the Junior Grand Prix Series begins August 31 at 3 p.m. local time in Salzburg, Austria. The third event of the Junior Grand Prix Series takes place in Riga, Latvia, September 6-9, 2017. Team Japan claimed top honours at the 2017 World Team Trophy. Team gala program. 2017-2019 Grand Prix dates; Challenger Series; updates on skate order draws; minimum score requirements; ultimate and synchronized skating. Coverage of the 2017 World Championships and the stars that shone in the Helsinki spotlight. The fifth ISU World Team Trophy will take place in Tokyo, Japan, April 19-23, 2017. Former British singles champion Jenna McCorkell will debut her new clothing line, Chique Sport, at the World Championships next week. In a teleconference on Tuesday afternoon Patrick Chan spoke about the changes he has made to his long program and the evolution of men’s skating. Olympic berths will be on the line at the 2017 World Championships in Helsinki, Finland. One of our favorite competitions of the season! Some of the junior stars competing in Taipei City this week will move into the senior ranks next season and will be vying for berths at the 2018 Olympic Winter Games. Nathan Chen and Javier Fernández write their own chapters in skating history. There was no silence as Vanessa James and Morgan Ciprès laid down the standout performance of their career in Ostrava. The 2017 Four Continents Championships is the test event for the 2018 Olympic Winter Games. The 2016 men’s, ladies and ice dance gold medalists will battle it out for top honours, but in the pairs discipline a new team will be crowned. Historical challenge: Patrick Chan will be chasing a 9th national title at the 2017 Canadian Championships. Tessa Virtue and Scott Moir looking to mine Olympic gold in 2018. The 2016 All Japan National Championships take place December 22-25, 2016 in Kadoma City, Osaka Prefecture. The 2017 Russian national championships take place December 20-25 in Chelyabinsk. Nathan Chen will be looking to claim his first national title at the 2017 U.S. Championships, which take place in Kansas City, Missouri, January 14-22. The final Challenger Series event of the year takes place Dec. 8-10 in Zagreb, Croatia. The second to last Challenger Series event takes place in Estonia this week. Quotes from the top three in each discipline after the short programs at Cup of China. Final Grand Prix event of the season. Who will earn the remaining coveted berths to the Grand Prix Final in Marseille? The Challenger Series continues with the Warsaw Cup November 17-20. The second last event of the 2016 Grand Prix Series plays out in Beijing this week. Yuzuru Hanyu continues a long tradition of Japanese success on the international skating stage. Paris hosts the fourth event of the Grand Prix Series this week. 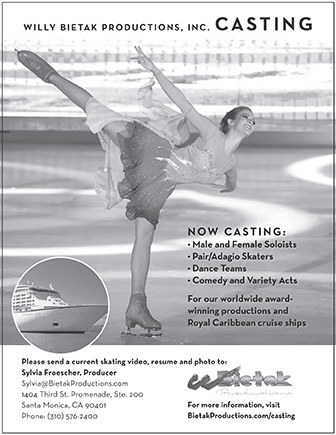 Six pairs and 10 ice dance teams, 11 men and 12 ladies will compete. Live TV and online stream links for Skate Canada International. Japan’s Mao Asada will open her season at this Challenger Series event. Senior events get underway on Friday, September 9 with the pairs short program scheduled to begin at 1:35 local time. Tessa Virtue and Scott Moir spoke to the press today about their return to competition. Sinead Kerr chose a 13th century castle as her wedding venue. Aliona Savchenko and Liam Cross will marry in August. Debuted their new Lindy Hop short program: “My Man” by Caro Emerald at “All That Skate” in June. Jan Dijkema wins ISU presidency with decisive majority. Complete competition schedule for the 2016-17 season.